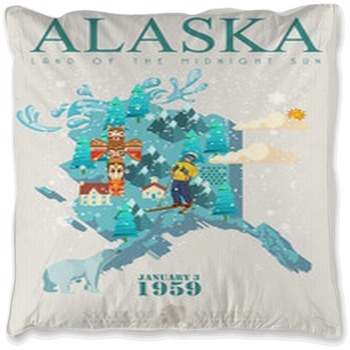 We have vast collections of Alaskan themed bedding for all you Alaska lovers out there. 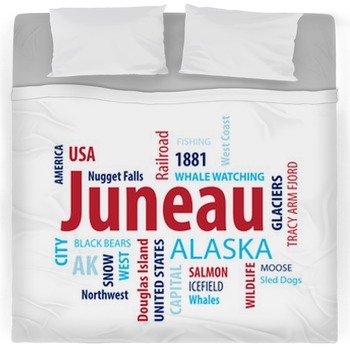 You can indulge yourself, if you please, to our largest selection of themed comforters, custom size duvets, sheets, and other bedspreads that would absolutely give you all the vibes that you need. 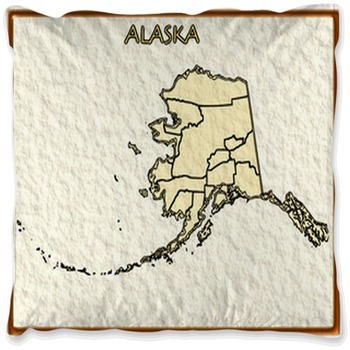 There's no arguing that one of the greatest places on Earth is here. 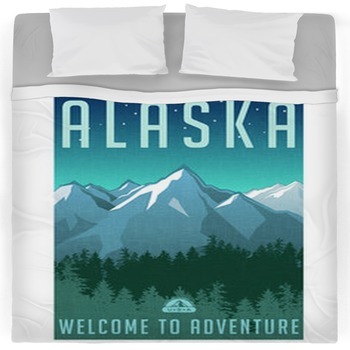 Because of Aurora borealis, that's why! Need we say more? The sight of that glorious display of northern lights illuminating the cold, starry sky would be very much like a life-changing experience. The magnificent vast and luscious forest, extraordinary glaciers, and breathtaking mountain peaks run just behind on that list. 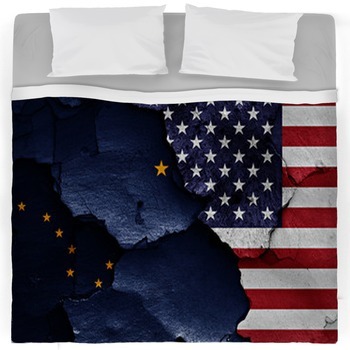 Now, to capture such sight on your Alaska bedding would also be quite a spectacular sight to see. 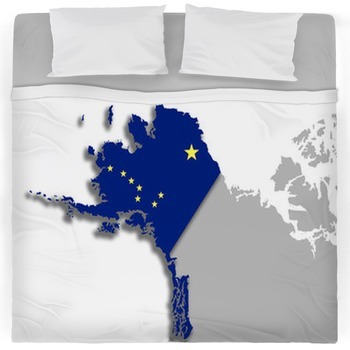 Among other Alaska bedding designs include a spectacular vector graph merge of everything that represents this state. 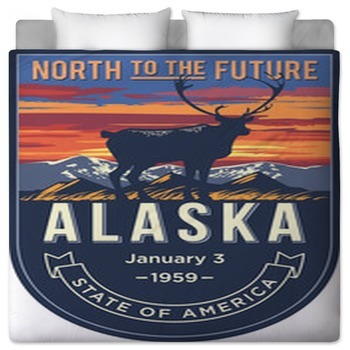 Get yourself a design of glaciers and ice mountains in the background, and a silhouette of a forest and a majestic moose all fitted in the shape of the widest state in America. For those who wants a minimalist design, those who think that less is more, we have various of treats just for you. There are plenty of wonderful options to choose from, you would never feel like making the wrong decision. 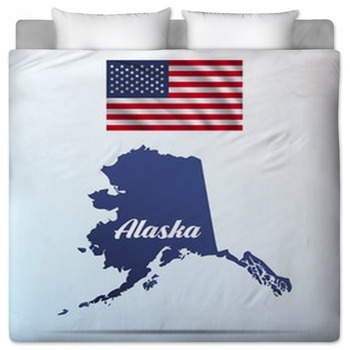 From comforters that takes the form of the the flag - a dark blue field with eight gold stars exactly placed as the Big Dipper and the North Star - to custom size duvet covers that has the shape of the state plastered on a perfectly white sheet, or even a simple blanket with words all about Alaska, you can always achieve that minimalist look that you desire. Now, for those who are lovers of nature and all things green and cold, our collections have something wonderful in store for you! 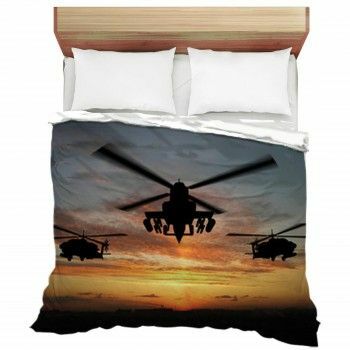 We have plenty of designs up our sleeves, you know. 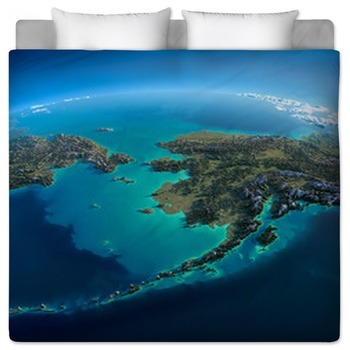 Imagine a bedspread of the icy blue water of flawlessly captured, reflecting the clear blue sky above, while the snow-filled mountain peaks stand tall and proud by it. 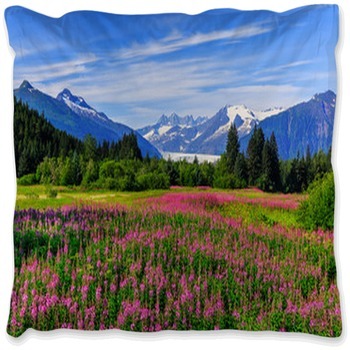 On the contrary of the frosty side, we also have designs which feature a wonderful lavender field in Juneau and an astounding lake somewhere in Denali. 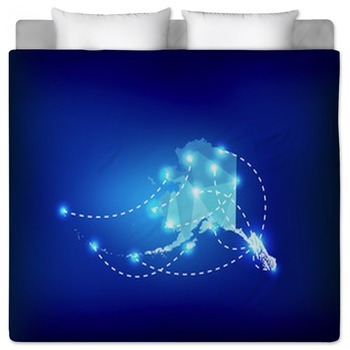 Transform your bedroom into a frozen wonder and feel the sensation only these Alaskan designs can give.